THE Minerals Council is expected to tell the National Energy Regulator of South Africa (Nersa) on Friday that Eskom’s proposed 15% electricity tariff hike will tip the industry into catastrophic losses and result in job layoffs rivalling the tens of thousands shed between 2006 and 2017 when tariffs increased as much. The council is also likely to suggest that Eskom’s financial problems can only be solved through fundamental restructuring of its business via the assistance of the private sector. Nersa is holding a series of hearings around South Africa with relevant parties to assess whether to grant Eskom a 15% a year tariff increase for three years from now until 2022. The utility argues that without a bump in revenue it will be unable to stay afloat. Eskom has R419bn in debt which it is unable to service from its own revenue. “This is a tipping point in mining and the economy,” said Henk Langenhoven, chief economist at the Minerals Council. “A price increase on its own is not a solution. It [Eskom] has to be restructured and the state has to intervene,” he told media today. Eskom was allowed to increase tariffs 15% between 2006 and 2017 in which 53,500 jobs were shed. An estimated R100bn in fixed investment was also foregone, according to Langenhoven. Based on council research, Eskom’s revenue from mining industry clients would decline to R19bn in 2020 from R24bn currently if tariffs were lifted 15% a year – a compound increase of about 50%. This excludes the 4% Eskom is allowed to recover in previous financial years in terms of its regulatory clearing account approved by Nersa. Eskom believes that a 15% annual increase for three years will lift revenue to R50bn but this doesn’t take into account that fact that nearly all of the country’s gold sector will be loss-making after three years. A similar impact will be felt in the platinum group metals sector where 70% would be loss-making notwithstanding the high pricing for palladium. There is an expectation among Minerals Council executives that South African president, Cyril Ramaphosa, could use the State of the National Address (SONA), which is scheduled for February 7, to motivate for the restructuring of Eskom. “Restructuring and privatising the elements of supply is the direction that Eskom needs to go in,” said Roger Baxter, CEO of the Minerals Council. Fundamental restructuring was the message delivered by his organisation in meeting with other CEOs on January 29, he said. “The notion of large utilities controlling electricity supply is not the norm now in the world,” said Baxter. “But the ‘P Word’ (privatisation) has always been a problem in South Africa,” he added. The thinking is that the activities of generation and distribution ought to be shared with the private sector whilst Eskom would continue to manage the transmission of electricity. Whether this might be announced at SONA, however, is a moot question for now. “It’s one of those critical issues. We would hope it is addressed,” said Baxter when asked if Ramaphosa ought to tackle the issue. “Having a plan on the table is critically important. Rating agencies are looking for clear direction, but we also have to acknowledge that restructuring ESI (the electricity supply industries) is a five to 10-year process,” he said. Speculation is rife that Ramaphosa might allude to possible privatisation after he told delegates at Davos that: “We are currently developing a response to the financial and operational crisis at the country’s electricity utility, Eskom. In the next few weeks, we will be announcing a set of measures to stabilise and improve the company’s financial position and to ensure uninterrupted energy supply”. BusinessLive citied public enterprises minister, Pravin Gordhan as saying today that Eskom’s future would be decided within the month. “Should we unbundle Eskom into three entities as is the practice worldwide? “We are going to have that debate soon and move beyond debate if we are to have Eskom as a credible entity both financially and operationally in a month’s time,” Gordhan told Business Unity South Africa’s economic indaba in Midrand. No part of ESKOM should be Privatised !!!! NONE!!!! 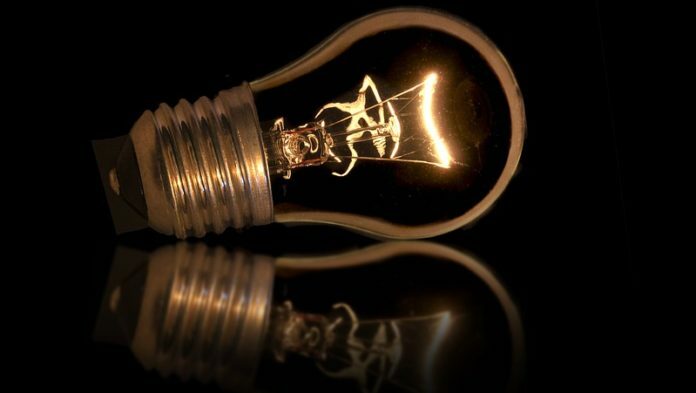 Should ESKOM efficiencies be improved ? ABSOLUTELY! Privatising it after having invested so heavily on the supply capacity for some >50 yrs , is just plainly STUPID AND SHORTSIGHTED! After the CapEx hump of the last few years , ESKOM will provide the necessary platform for RSA economic growth in future. This tendentious chorus for privatisation, which is champion by apartheid beneficiaries and heirs , is utter nonsense. Its aimed at hiving off the crown jewels and further concentrating economic power in their hands and offsprings. Goldspeculator, I have always enjoyed and respected your comments and insights but this blame game on apartheid, etc is really getting boring. Lets concentrate on the facts and try to engage in a meaningful manner. Eskom is in a mess, unless its bailed out by Government it has no chance of surviving. It has to restructure. SA cannot afford Eskom in its current format. Comment edited in line with Miningmx rules governing comments on articles. Steve, It might be “boring to you” but for the majority of RSA, it’s a fact to be confronted. Eskom needs to be restructured for better operating performance BUT NOT PRIVATISED.